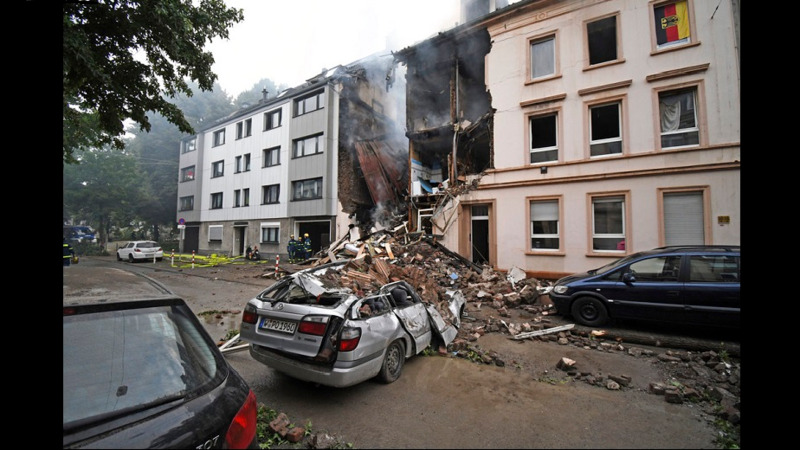 A car and a house are destroyed after an explosion in Wuppertal, Germany, June 24, 2018. 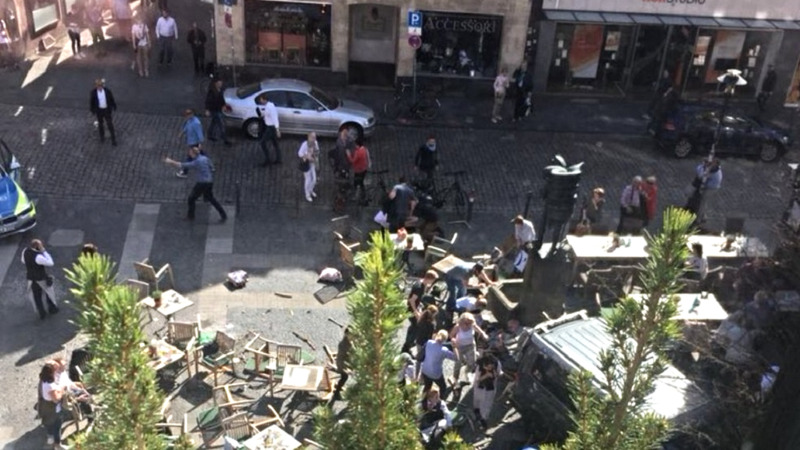 German police say 25 people were injured, when an explosion destroyed a several-store building in the western city of Wuppertal. Fire then broke out in several different parts of the apartment building and firefighters had trouble dousing the flames because parts of the building kept collapsing. They were able to rescue four severely injured from inside the building and sent them to the hospital. Another 21 people were slightly injured and treated by emergency staff at the scene. 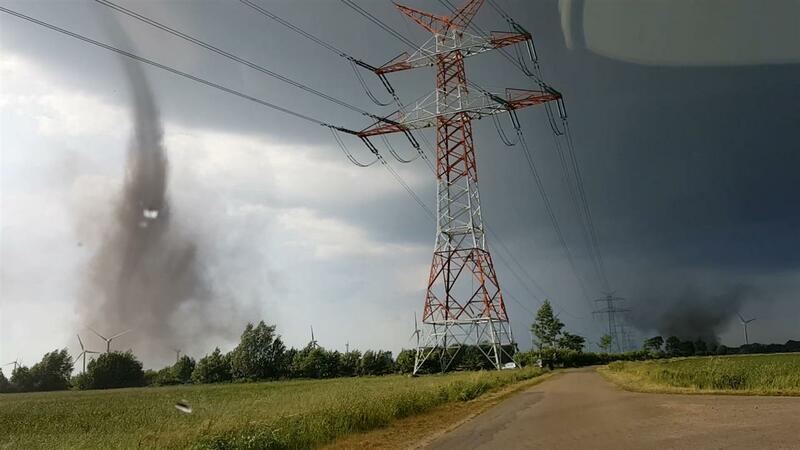 A car nearby was destroyed, buried under window frames that were blown onto it by the explosions' impact. Emergency personnel on Sunday picked up bricks and furniture on the street.